To help businesses in managing employees, eDataset, a renowned software developer company, has come up with employee management software of superior quality. That software is branded as "Staff Scheduler Pro"; a large set of features is attached to this stunning package. 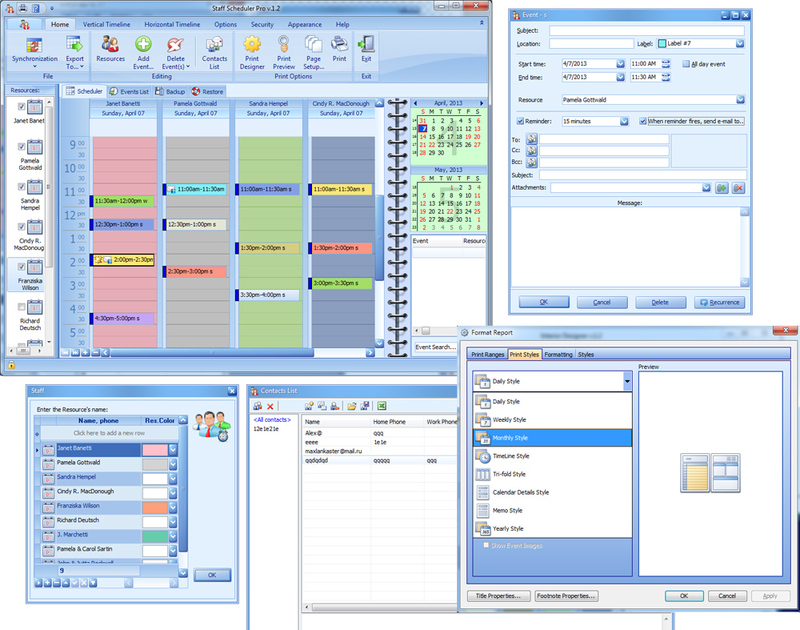 Employee management becomes an easy task, if Staff Scheduler Pro is utilized by businesses. Proper Scheduling of employees' activities is essential for enhanced productivity and profitability. With Staff Scheduler Pro, each and every employee can be assigned to a set of activities that are to be performed in different dates and times. Contact details of all employees can be preserved in the database that comes In-built with Staff Scheduler Pro. A reminder can be set against specific tasks or employees, so that no vital assignment is left forgotten or missed. As the date or time for a specific task approaches, the reminder feature comes into action, and issues alert. Businesses can keep the records related to Former employees in a separate category with this software. This employee management program facilitates storing of scanned documents. With this feature, important documents, respective to employees, such as photographs, letter of recommendations etc can be stored against respective employee accounts. For evaluation of employee's performance, businesses periodically run performance appraisal sessions. The reports produced by those performance appraisal sessions are important for estimation of salary, bonus and commissions to be paid to employees. Preservation of such significant reports is made easy with Staff Scheduler Pro. Upon requirement, detail records of revenue and expenditures on any specific date are displayed by this program. The database driven auto-filling feature that is built in this software, is helpful for efficient data input. The available out formats include XLS, pdf, html, TXT, iCal etc.